Looking for a criminal defense lawyer for your case? The process can be daunting, with lots of elements that those without previous experience or understanding of the criminal law system may not know. To help you find the right criminal defense lawyer for your case, here are six dos and don’ts to keep in mind. While public defenders may be excellent at what they do — and many are — they are also often underpaid and overworked. They are mandated by law to represent individuals who do not have the means at their disposal to hire their own private lawyer. This may result in their mind, attention, and efforts being scattered across many different cases and clients. To give your case the best possible chance of success, you do not want to hire a public defender. At first glance, it may not seem like the biggest deal if a lawyer only has yellow pages listing instead of a website. However, think about it like this: How much can you really find out about the lawyer through that tiny yellow pages section? Not much. A website that is professional and regularly updated lets you know that the lawyer is equally professional and stays up to date with current events. Plus, a website can tell you a whole lot more information about the person who would be representing your important case than the yellow pages. While a website can tell you a lot more about the attorney than the yellow pages, so too can meeting in person tell you more than just a phone call. You need to meet the attorney in person and see if they are the right fit for you and your case. Luckily, most attorneys offer free consultations before you need to sign any contracts. So, there’s really nothing to lose and a whole lot to gain by meeting them in person first, before signing anything. This may sound like common sense, but you need to hire an experienced lawyer. Make sure they have over ten years of experience in criminal defense before considering if they are the correct match for you. Try not to be swayed by lower estimates and promises of success. 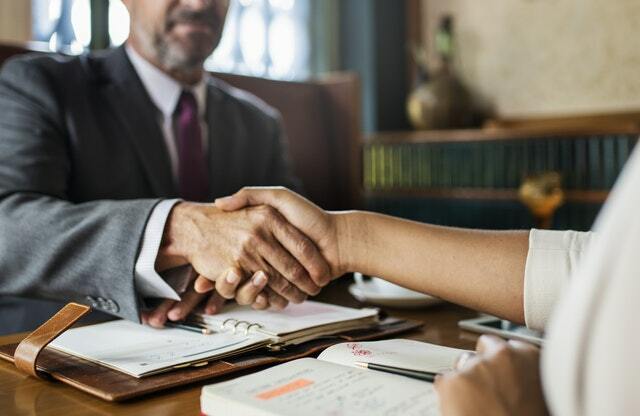 You want to make sure that the person handling your case has enough experience under their belt to give your case the best possible chance for success. So, make sure to hire someone who is experienced in criminal defense law. When you research and meet your potential attorney, it is important to also know their past in law. If the criminal defense attorney used to be a prosecutor, that means that they have quit the District Attorney’s office to switch sides. Why? Perhaps they had a change of heart, but more commonly, their career wasn’t progressing as they thought it should. Do you want the person who is defending you to be the one who has previously spent all of their time sending people to prison? Choose a lawyer who has been committed to criminal defense from the beginning is the right way to go. When looking for the right criminal defense lawyer for your case, you need to look for one with a history of going to trial. Trial attorneys are eloquent, knowledgeable, think on their feet, are persuasive speakers and work very hard. Due to these hard-earned skills, trial lawyers are often well respected and will fight extremely hard for their clients. To recap, you need to look for experienced trial attorneys who specialize in criminal defense law.